One of the same problem I have recently with Linux Distros on netbook/laptop is zero brightness screen display at every start of the system. The default screen brightness will still reset to 0% even I have increased brightness level in system settings. The same issue happens in Linux Ubuntu, Ubuntu based Linux Mint and Linux Deepin. Since the system don't store the last saved screen brightness level, this fix will set your desire value as default value for screen brightness in every system startup. 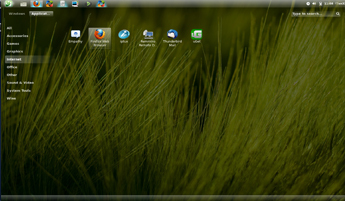 It works on my HP mini 210 with Ubuntu 12.04 and Mint Debian 201204 but not on Linux Deepin 12.06. Thanks to cmcanulty for providing another workaround which works on Linux Deepin by setting screen brightness to max, instead for Ubuntu fix. Copy, Paste and Execute the following codes in Terminal. There are different kinds of netbook/laptop around, so no guarantee is made that this workaround should work. Try at your own risk.